Thomas Lemberger, Professor of Physics, received his B.S. and Ph.D. degrees in physics at the University of Illinois, and was a postdoctoral fellow at UC Berkeley before coming to OSU in 1981. His experimental research focuses on novel superconducting materials, and on films of complex materials such as double-perovskites. Of particular interest in the superconductivity research is the phenomenon of quantum critical points, where a superconducting film undergoes a zero-temperature phase transition between two disparate quantum ground states, as a function of, e.g., composition or applied magnetic field. Ultrathin films, as thin as a single unit-cell, are studied in order to ascertain the effects of dimensionality. Thin-field samples are grown in his lab, or provided by collaborators at OSU, at other US institutions, and at labs all over the world. 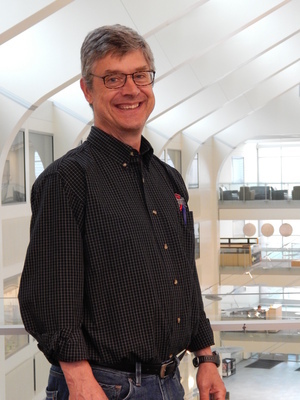 Within the CEM, Prof. Lemberger serves as director of the Research Experience for Undergraduates (REU) programs during the academic year and during the summer.